We call our cell groups – Net Groups. The biological cell is a basic building block of life. Healthy cells multiply themselves millions of times in the course of a lifetime. Each new cell looks identical to the original cell because the DNA branded nucleus multiplies itself before the cell reproduces. In this way, the new cell is as healthy and productive as the original cell in it’s given role. The cells work together as organs, muscles, bone and skin to make the body function as a true miracle from God. A spiritual cell group is very similar to a biological cell. Followers of Jesus Christ edify one another and increase the kingdom by sharing their lives with unbelievers. New leaders are raised up from within the group (with the support and training by their pastoral staff) to grow and expand the ministry to a hurting world. When the group multiplies, the process repeats itself. We call our cell Groups – NET GROUPS. When Jesus called the disciples to be fishers-of-men, they were used to fishing with a net. We are not called to reach out to the world around us alone, we are called to reach out as a team. If you will, a net. 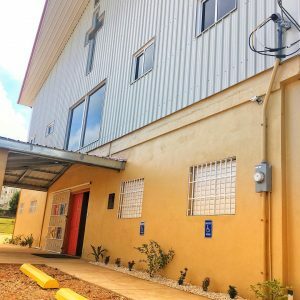 We reach out to Belmopan and beyond as a net and see people saved, discipled and raised up as reproducible leaders. We encourage everyone to take part in Net Group. Newcomers should feel the freedom to visit a few cells and seek the Lord on which they are to become a part of.